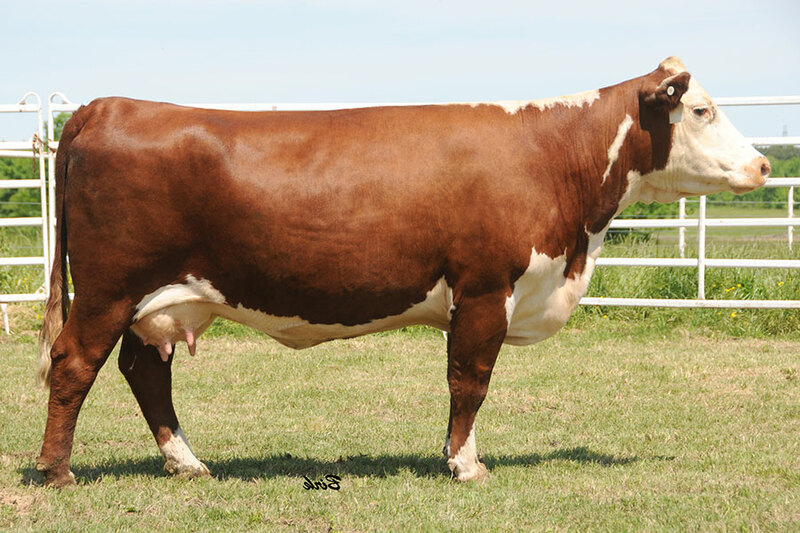 When you are looking for power to add to a donor herd, it’s always special to find one like L1003 with a highly successful flushing history. Fertility is the basic quality of any profitable cow. L1003 produced some of the most sought after and top selling bred heifer and embryo lots in the Grandview/CMR Dispersal Sale. L1003 has made an immediate impact on our herd by first raising a fancy heifer calf by 131K MR R117 Y619 ET and then following that performance up with very successful flushes from Times A Wastin, Perfect Timing, Handshake, Laramie, WF 88x Ribeye 1607 and Extra Deep “Bob”. Only if every cow could be this efficient! !